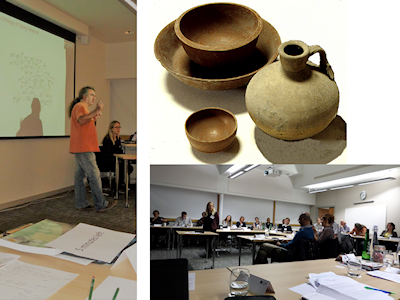 This introduction outlines the rationale for and concerns of the research network, 'Big Data on the Roman Table' – an international forum showcasing and exploring new ways of harnessing and analysing the extensive datasets of tablewares from around the Roman world, for agenda-changing, consumption-orientated approaches to this rich archaeological record from the early Roman Empire. The introduction sets out the problems facing more social-historical approaches to these, mainly ceramic, tablewares and includes examples from my own research into tablewares, from the Roman world and beyond, to demonstrate my reasons for initiating and co-organising this network. It also summarises the structure and the approaches of this volume and its selection of articles, from papers presented at the two workshops of this network.